2008 - Arkansas-03-14-08 - Triangular Object Photographed. I was trying to capture lightning from a distant storm. I was using 35mm film and a tripod bracketing exposures from 1 to 5 seconds. 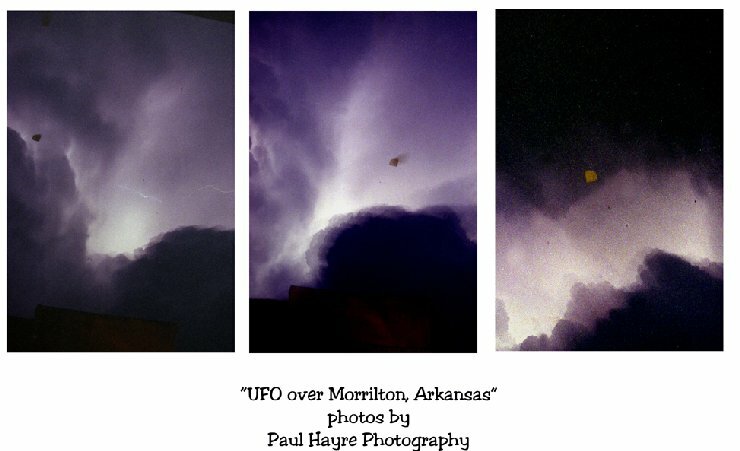 I had pointed my camera (Nikon FM2) in the general direction from which the lightning was occurring. I was using a cable release to trip the shutter so that no camera shake would be transfered to the picture. When the lightning would flash I would trip the shutter. I had no idea that I was capturing anything other than the lightning until I got the film processed and printed. 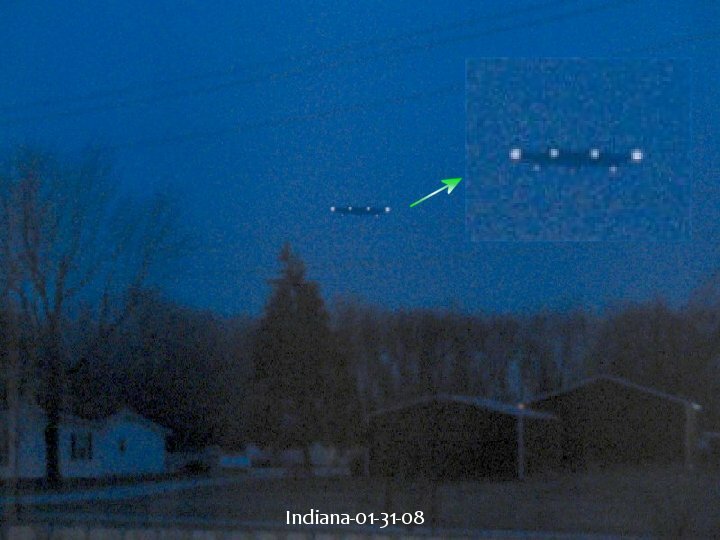 There are 3 clear images of what appears to be a UFO. I am a professional photographer and in no way have I manipulated or enhanced these exposures. 2008 - Argentina - 01-11-08 - My nephew took two almost consecutives pictures of the clouds. When he downloaded those pictures, he realized there was an object on the right side above the cables in the second shot. 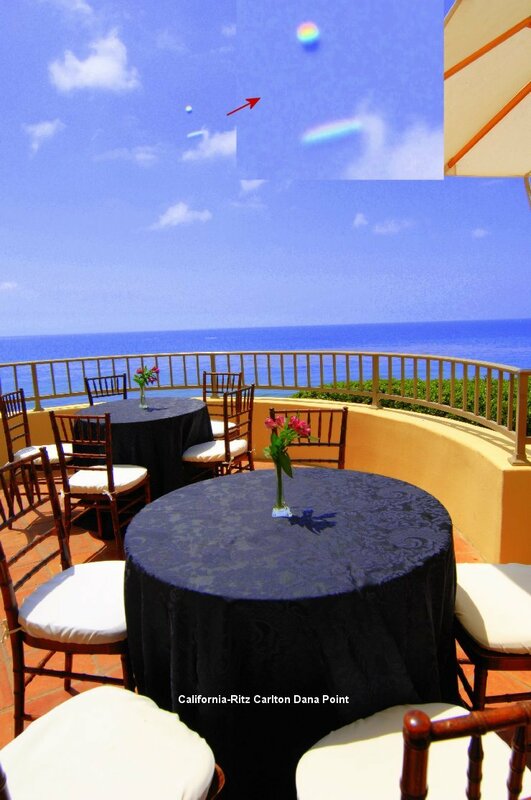 In the second photograph there is a hole in the clouds, that does not appear in the first one. 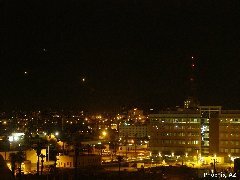 2008 - Phoenix, Arizona - More lights over Phoenix. 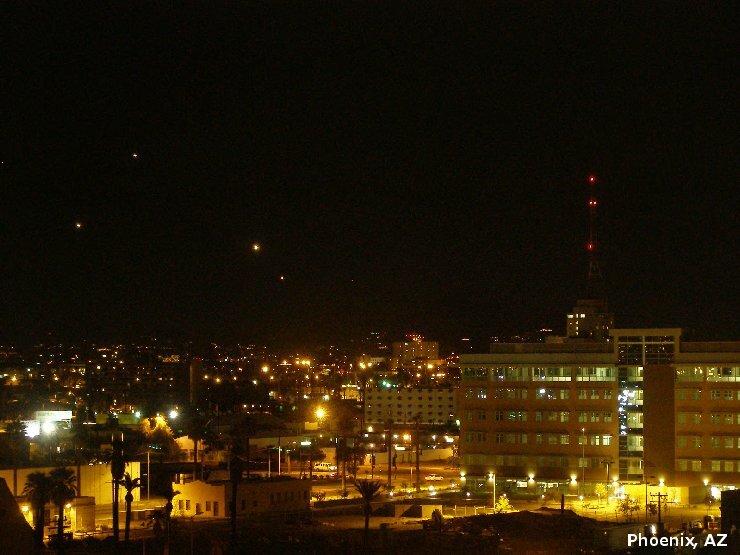 I don't know what's going on in Phoenix tonight (12-31-07) but it sure looks like the "Phoenix lights" all over again. I'm sending you this set of pictures, it looks very strange to me. What do you think? 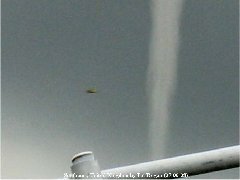 © Phoenix Web Cam - sent by Cristofer Ohlsson-Malmo, Sweden. 2008 - Indiana - 01-31-2008 - I was home alone and decided to go to the kitchen to get a glass of water and maybe find a snack. Just as I approached the kitchen/dining room area (they're the same room and we have a bay-window/patio door there), I noticed what I immediately thought was a helicopter about 300-400 feet away, just across the street and above the tree line. 2008 - Ireland - Hello, my name is Bartosz Kurzeja aka Bart. I am originally from Poland. I have been living in the UK for past 8 years now. Recently I visited my brother in Dublin, and he shared this picture with me. 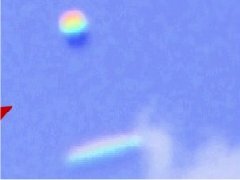 You can clearly see an object moving very fast in the blue sky. 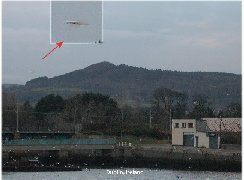 My brother had not seen this object when he took the photograph, only after developing the picture did he notice it. Any explanation guys? I know that you have many similar pictures so I know that you are knowledgable about it. 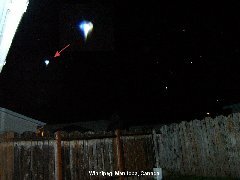 2008 - Texas - The photograph was submitted by Mary, who states that while watching a Dallas/Ft.Worth Texas web cam, she captured the frame. 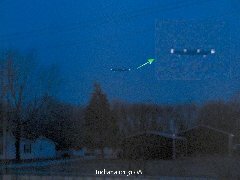 It shows two objects, which are unidentified at the moment. 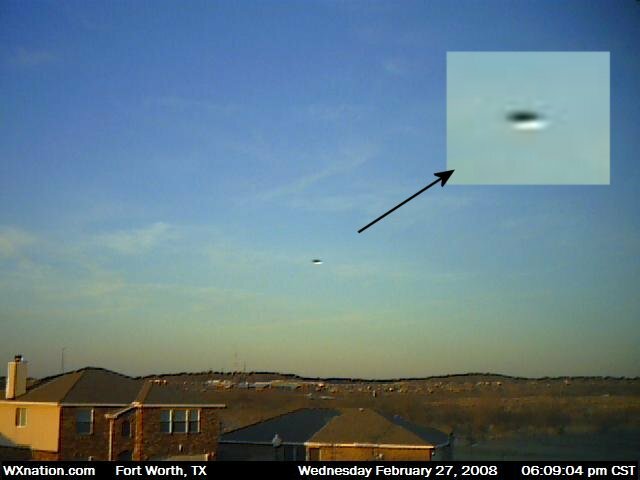 She saw and captured the photo this morning, 02-27-08, and when the cam refreshed 10 seconds later, the objects were gone. 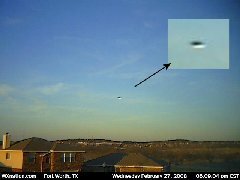 Web cam view is from WXnation.com's headquarters in far north Fort Worth. 2008 - California - 04-24-08 - I was fishing on Lake Trinity, and heard the sound of an aircraft engine. It was a very low frequency sound, but I felt it more than I could actually hear it. I only had an older Sony digital camera with me, the batteries were almost dead. 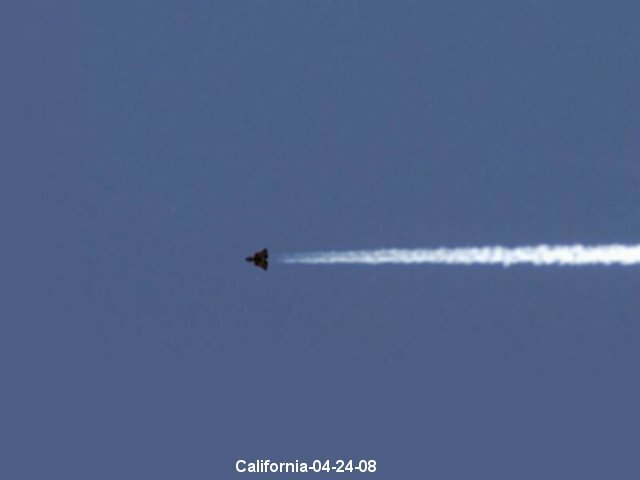 Additional Info: The UFO Casebook has received the following information from a reader: Wanted to let you know that photo dated 4-24-08, labeled 2008B 10539 jpg, is actually Swedish aircraft, Saab Drakken, privately owned, and currently for sale on Controller.com under under military Turbine aircraft. This is 100% positive. 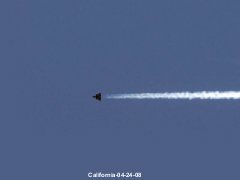 I am aware of the aircraft in question and it was being demonstrated on or about the date in question. NOT UFO related. 2008 - California - 05-06-08 - This is a picture I took during a photo op at Ritz Carlton Dana Point. One of 26, this is the only one with this in it. I am a professional photographer. Over 500,000 actuations on this camera. Never have I had this in one of my pictures. Taken with a Nikon d2x 14-24mm lens. 2008 - Florence, Italy - 04-04-08 - I was on holiday in Florence, Italy, and late morning I took a photo of the River Arno, which flows through the city. 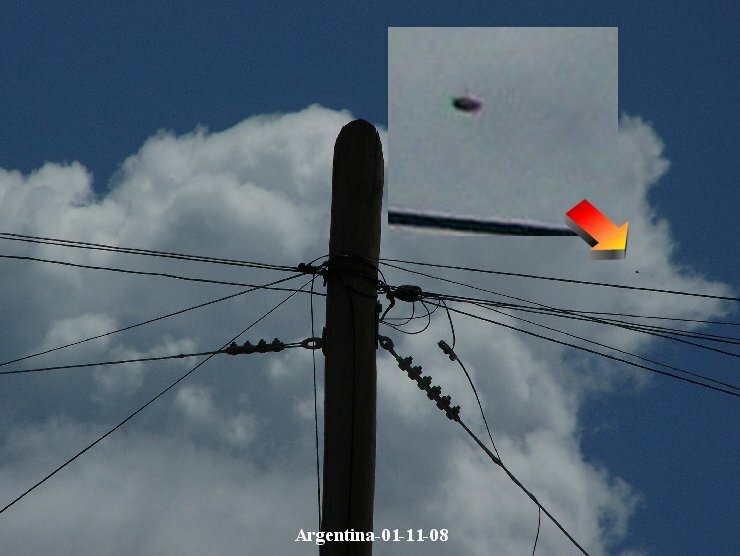 I wasn`t taking any notice of what was happening in the sky. On my return to England, I transfered my photos onto my computer and printed the one of the River Arno. 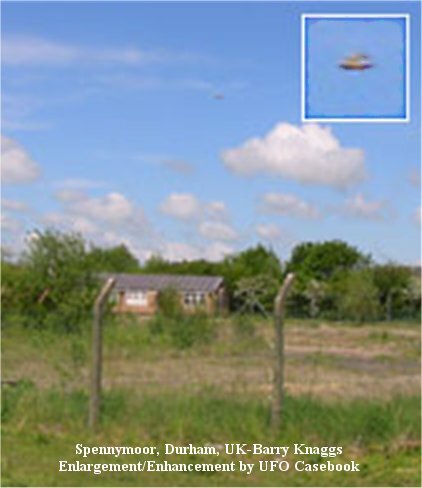 2008 - Durham County - BRITISH UFO researchers are to examine a photo taken of a strange object in the sky above a northeast town. 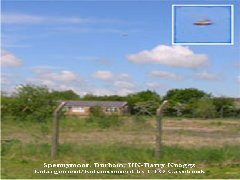 Derbyshire man Barry Knaggs found the strange image when he downloaded pictures he had taken on his digital camera during a visit to Spennymoor, in County Durham, at the weekend. Mr Knaggs, 61, was returning to the town where his parents used to live on a nostalgic visit with his wife. Although the couple noticed nothing unusual at the time, Mr Knaggs says he was amazed when he downloaded the photos to his PC once back home. "When I zoomed in to have a look I had to tell myself to stop being silly," he said. 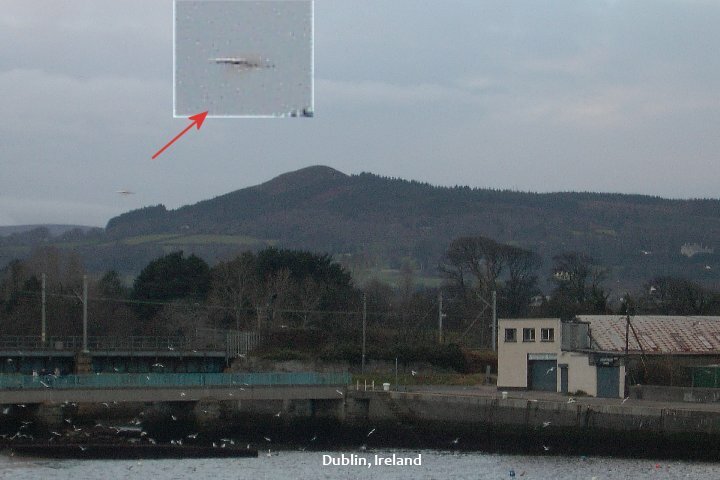 "It looked like the typical fuzzy photo of a flying saucer." 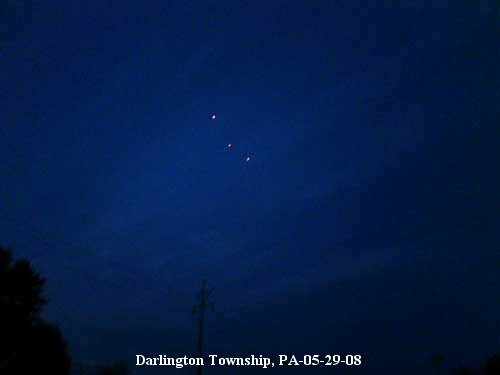 2008 - Pennsylvania - 05-29-08 -I walked out of the bar to go home, and I looked up and saw three lights in the sky. Someone said "What's that?" Several of us stood there and watched it. I kept taking pictures, and other people were taking pictures also. 2008 - Winnipeg, Manitoba, Canada - End of May, 2008 - When I took this photograph when it was raining. I had gotten off work at 10:35 PM, and a storm had come into the city. As I drove home, there was a lot of lightning and wind. I parked my car in the garage. Everything got real bright for about 2 seconds, like something passed over my garage. I took out my camera and took some pictures. There was still a lot of lightning. I got something unusual on photograph DSC4671. I just took the shot, and didn't actually see the object in the frame. I noticed it later. 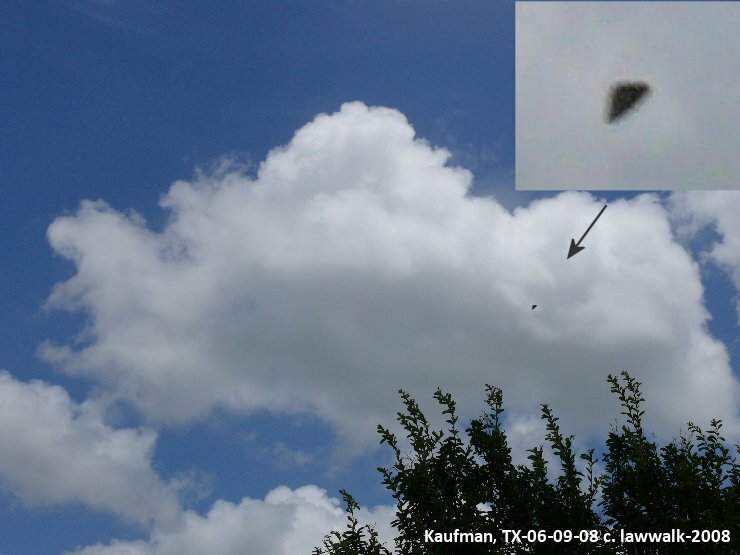 2008 - Texas - The photograph was sent to me by my good friend Larry from Kaufman, Texas. On 06-09-08, he was doing his usual sky watching when he spotted an unknown object in the sky. 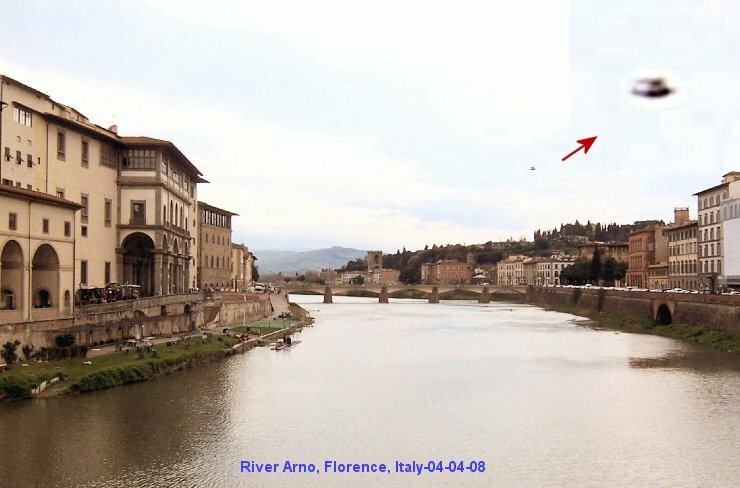 He took a photograph, and after viewing it, he saw the object was of a triangular shape. I have posted a 740x555 pixel image below to view, and also provided a link to the 3648x2736, original sized image. 2008 - Plane flight Rome to Amman - I was checking out some photos I took during my flight from Rome to Amman, on the 30th of January 2008. I didn't recognize any strange object while I was aboard, but just yesterday I discovered something unusual in one of the pictures I had taken. 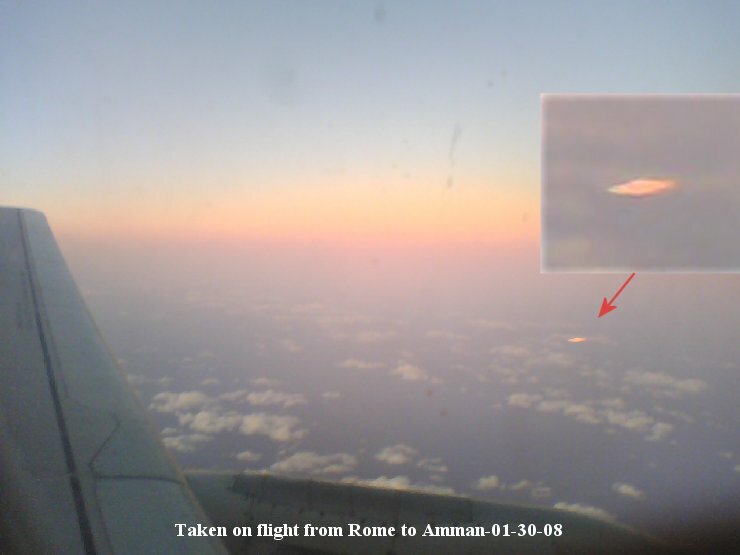 The sighting was around over Cyprus, 16:48 local time of Italy. 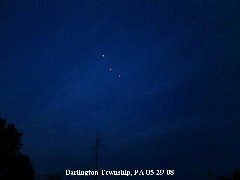 The shape of the UFO was classic (low edges and domed center), far from the plane, reflecting the orange setting sun rays. 2008 - United Kingdom - July 8 2008 - By Jo Kelly - A UFO was captured on camera as a Southport nature enthusiast snapped away at Sunday�s twister. 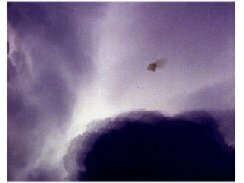 Father-of-four Pat Regan, 51, of Sandbrook Road, was shocked when he looked at his pictures and noticed the unidentified object to the left of the funnel cloud. Mr Regan, who runs child care facilities in Formby, was fishing in Rufford Canal with his seven-year-old daughter Jasmine when the twister started. 2008 - Rio Bravo, Tamaulipas, Mexico - The photographs were taken between the days of August 8 and 9, 2008. The photographer, along with other family members, witnessed the unknown objects. The submitter used a Steady Shot Sony to take the pictures. 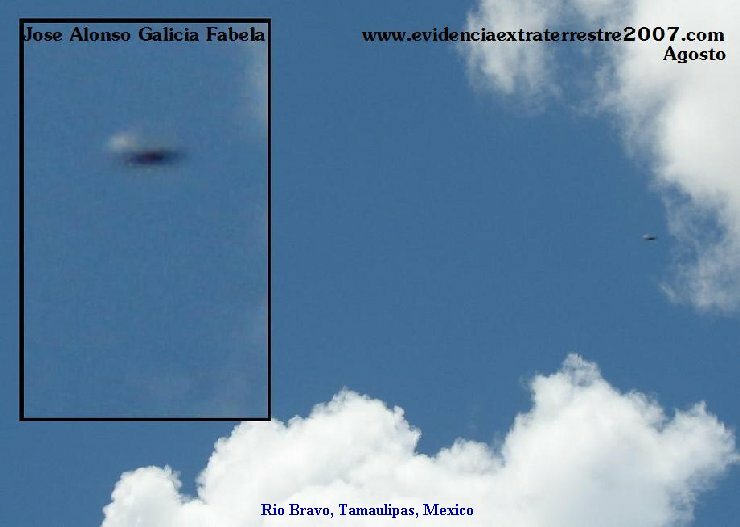 The witness often watches the skies from the balcony of his home in Rio Bravo. The photographs were taken and submitted by Jose Alonso Galicia Fabela. 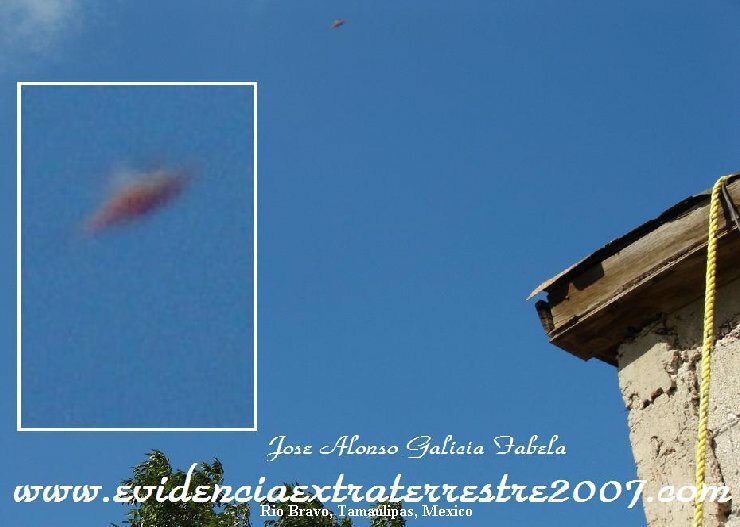 2008 - Rio Bravo, Tamaulipas, Mexico, see above.